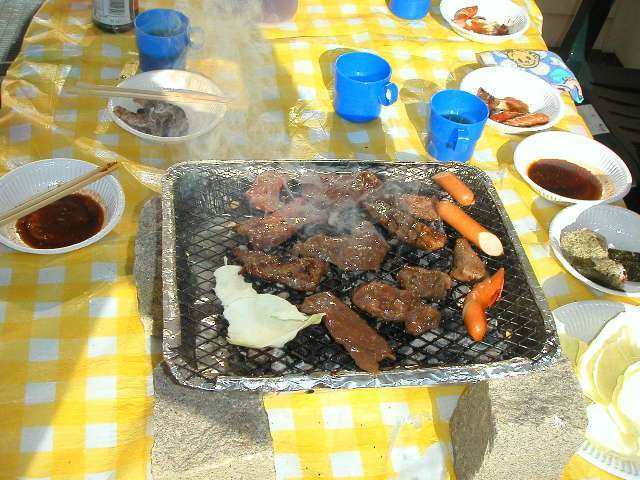 It was fine today, so that we did BBQ in our backyard. It was getting warm around noon. It was suitable for BBQ, today. Kids are like this. They need caps to prevent from sunshine. Here, it looked delicious! This grill was disposable. After 15 minutes from lighting it, the power of the fire will be just for use. 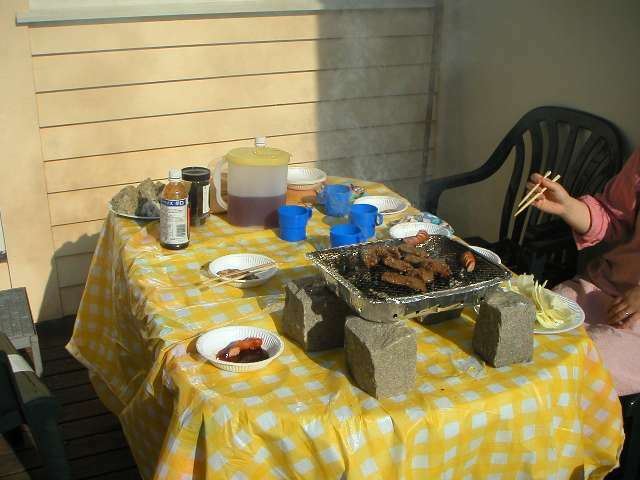 In the last summer, we often did BBQ in our backyard, but in winter it was too cold to do it. We did it today because we want to do it again before leaving for Japan. The reason is never "because we have a disposable grill remaining", nor "because we have some beef remaining" (Lie).